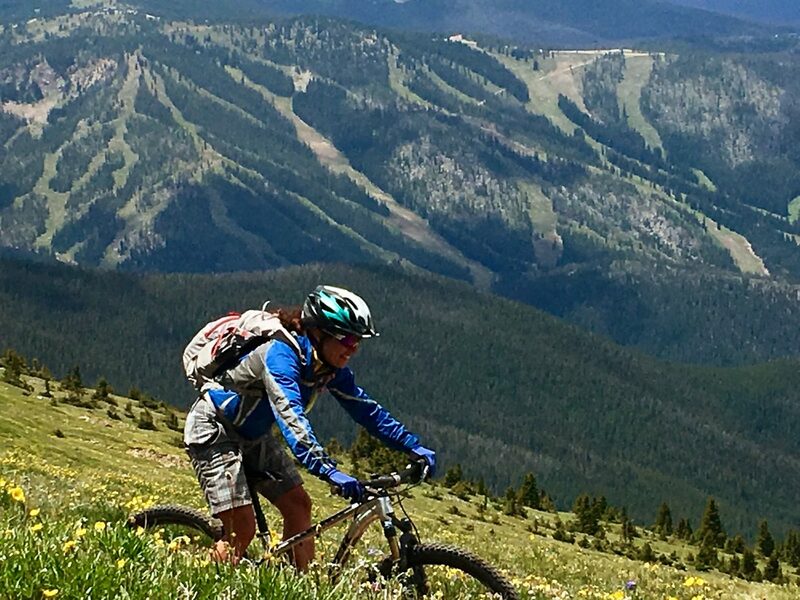 Summer is in full swing in the high country and Grand County’s roads and popular recreation destinations are chock-a-block with tourists and locals alike. 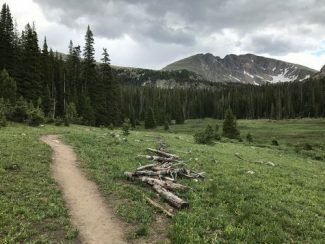 Every weekend the Vasquez Creek area near Winter Park and the Three Lakes region are inundated with folks looking to enjoy the picturesque beauty offered by the Rockies. For those who enjoy a more seclude experience though the more frequented recreation areas can feel almost claustrophobic. But travel just a little bit further down the road, to one of the more forgotten corners of the county, and you’ll find sparsely filled parking lots and trails with few other adventurers. These quieter gems of the county are no less majestic despite their comparatively light use. 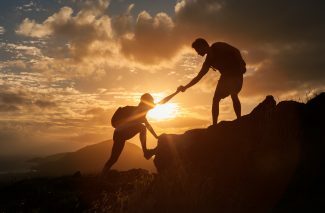 The Sky-Hi News offers this column, the Grand County Rambler, for the summer season to visitors and locals alike in hopes of highlighting a few of the more secluded regions of our beloved home. We encourage you to discover all Grand County has to offer, you won’t be disappointed. If you take pictures please post them to social media with the hashtag #exploregrand. One of Grand County’s most remote corners is the Sugarloaf Campground area. Sugarloaf Campground is a secluded National Forest Service campground located quite some ways south of Williams Fork Reservoir on Grand County Road 30. The campground lies at the far southern end of County Road 30 along the western bank of the Williams Fork near the confluence of the Williams Fork, South Fork of the Williams Fork and Darling Creek. Several trails crisscross the area but the highlight of the region is an abandoned boardwalk adjacent the campground. The boardwalk originally connected Sugarloaf Campground to the trail system on the east side of Williams Fork. However the section of boardwalk that crossed the Williams Fork was washed away and destroyed some time ago. There is a small section of boardwalk still standing on the west side of the Williams Fork and is worth checking out but the east side of the creek is almost magical. The eastern side of the Williams Fork still contains a large segment of abandoned boardwalk, several hundred yards all combined, overgrown with lodgepole pines and scrub bushes. It is a truly unique place, like something from a fairytale with faint rays of light flirting in and out of the thick canopy above. 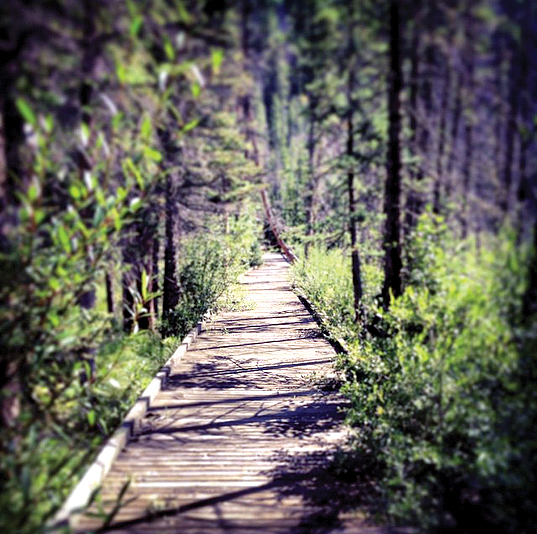 Hikers can wander the boardwalk to their heart’s content. Wooden benches still line the boardwalk and provide lovely rest areas. The boardwalk is an elevated platform above the forest floor and marshes of the area. There are a couple of picnic areas with tables along the boardwalk as well. In my past experience the area sees very light use. Use caution when walking on the boardwalk though, some boards are missing and others are loose and the pathway is broken apart in several places. Sugarloaf Campground can be reached from US Highway 40 via Grand County Road 3 and County Road 30. The campground can also be accessed from the Fraser area via County Road 50 and County Road 32 before reaching County Road 3. 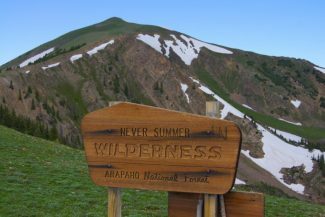 The route from Fraser passes through Churches Park and past the turn off to the Lake Evelyn and Ptarmigan Peak trailheads. To reach the area from US Highway 40 take Country Road 3 south as it meanders past Williams Fork Reservoir through the low rolling hills near the Henderson Mill complex. Driving to the campground requires passing underneath the Henderson Complex’s conveyer belt system that runs from the Henderson Mine to the Henderson Mill. Drivers pass through a small tunnel to bypass the conveyer belt. The abandoned boardwalk on the east side of the Williams Fork can be accessed from Sugarloaf Campground on the western side of the creek via a small trail that cuts across the swampy marsh between the eastern and western sections of the boardwalk. Folks can also access the eastern boardwalk by following a trail that starts in the small parking lot just outside the gates of the Henderson Conveyor Belt’s western terminus. That parking lot is accessed from the same road that accesses Sugarloaf Campground. After passing through the tunnel underneath the convey belt turn left and stay on the road you are on. Keep the conveyer belt to your immediate left as you travel east roughly 1,500 feet before you reach the gates to the Henderson complex. Hikers should park in the small parking lot directly outside the gates. The Henderson Complex is private property and is not open to the public. The trail is located directly in front of the parking lot and runs adjacent the Henderson Complex fence before heading into the woods. The abandoned boardwalk is several hundred yards further down the trail.